Want to know more about Rapp-it? Interested in buying Rapp-it? 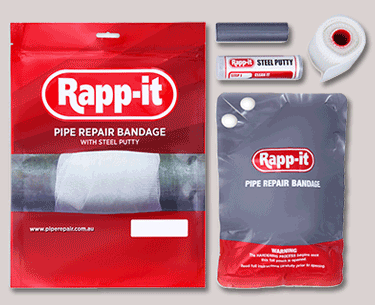 Rapp-it is available through a network of distributors located in Australia and worldwide. Marine & Industrial Marketing is offering distributor opportunities worldwide to eligible companies. Our Rapp-it Pipe Repair System is simple to use, and can provide a real service to your clients as well as contributing significantly to your business. Do you currently service the mining, industrial, marine, oil & gas or manufacturing industries? Rapp-it may be a great addition to your product range. Even if you don’t know how to repair a pipe, we will ensure you have the knowledge you need. We are available to assist you with clients and their pipe repair situations and we provide technical support and promotional materials. Interested? Complete our distributor enquiry form here.